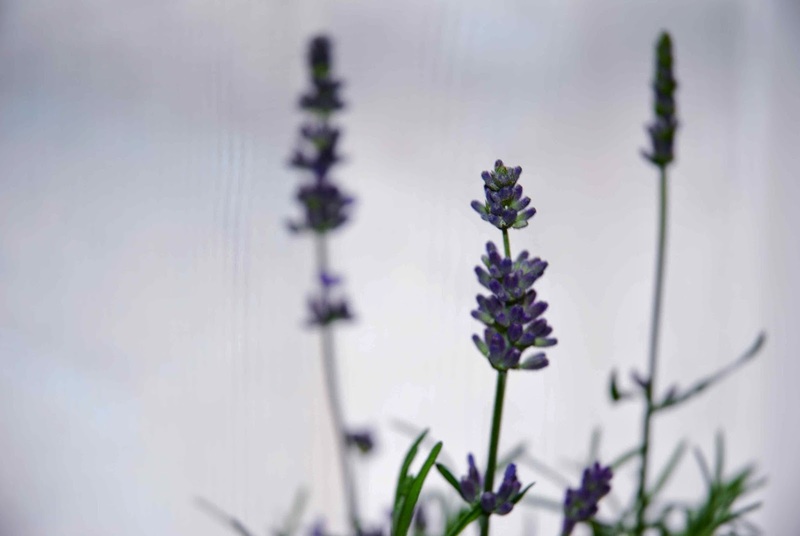 Lovely lavender! 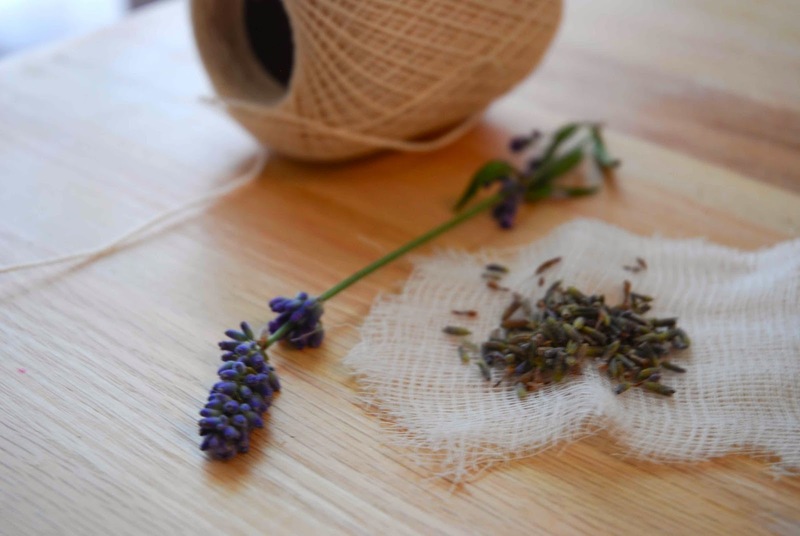 One of summer's most popular herbs, fresh lavender does so much more than just look pretty! 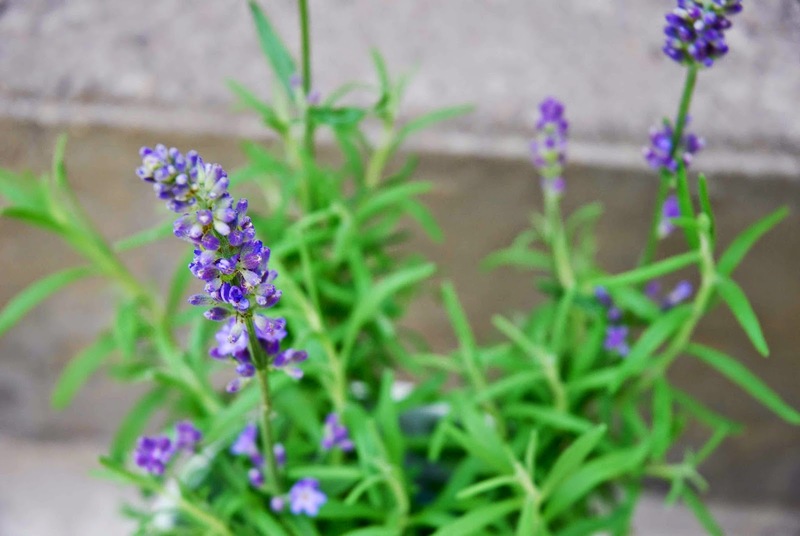 It's unique scent, sort of a robust mix of floral and evergreen, can scare off annoying insects (it's part of the mint family) and make a home smell clean and bright! And it's ever-more-popular delicate flavour imparts a 'ladies who lunch' air of sophistication to foods both savory and sweet. 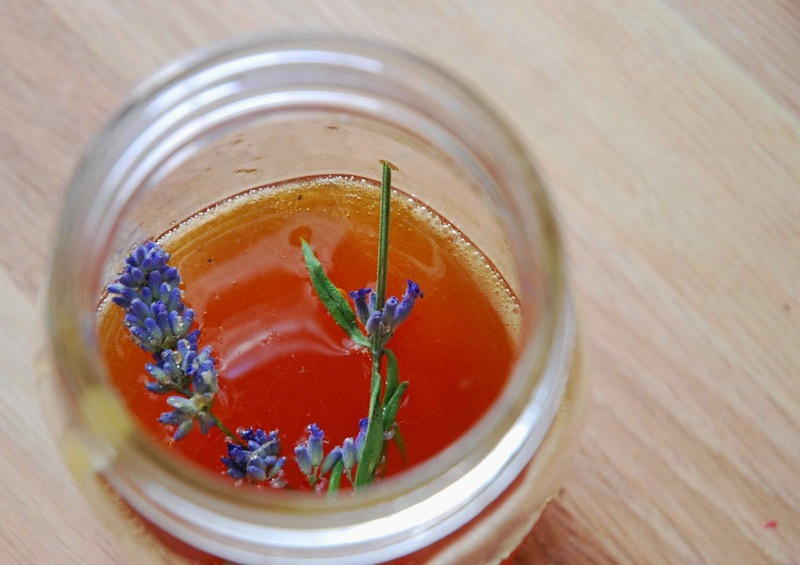 So as with the strawberry honey that I blogged about, I used honey to preserve the subtle scent and taste of lavender! 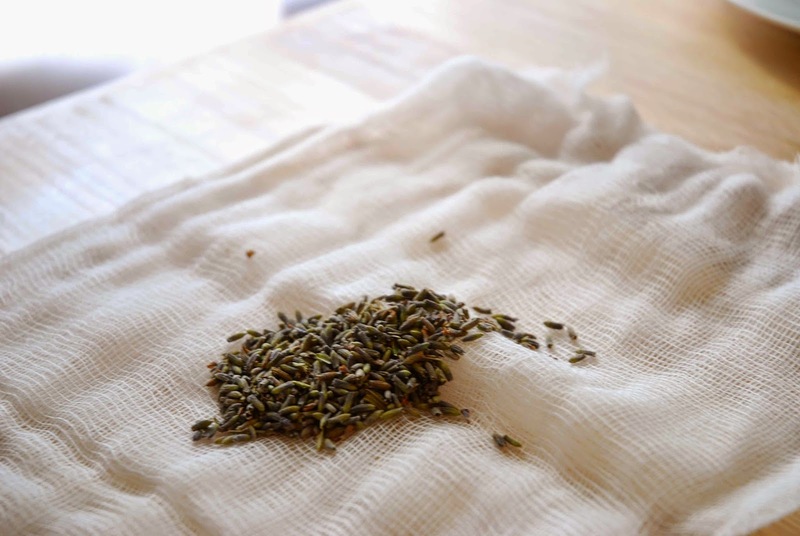 Double up your cheesecloth and measure out a Tbsp of dried lavender. 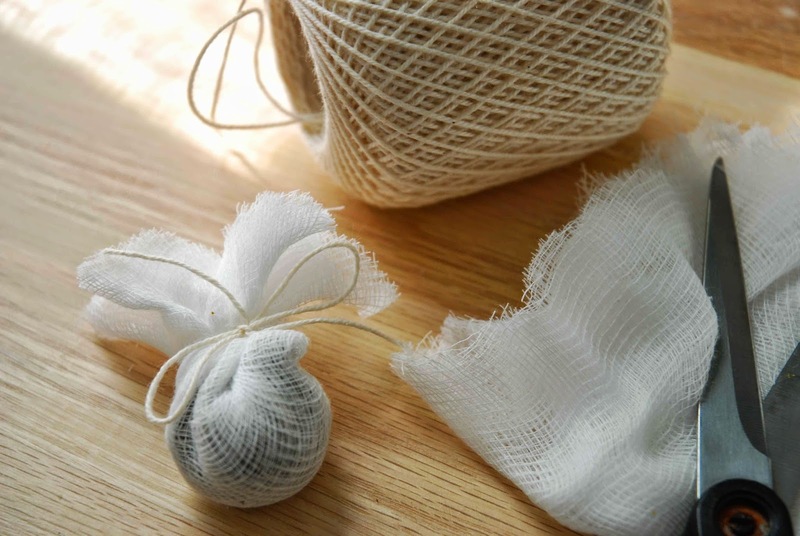 Make a little bundle and tie it off well with string. Have your honey ready. Any honey will do, I bought some in bulk to try and save. 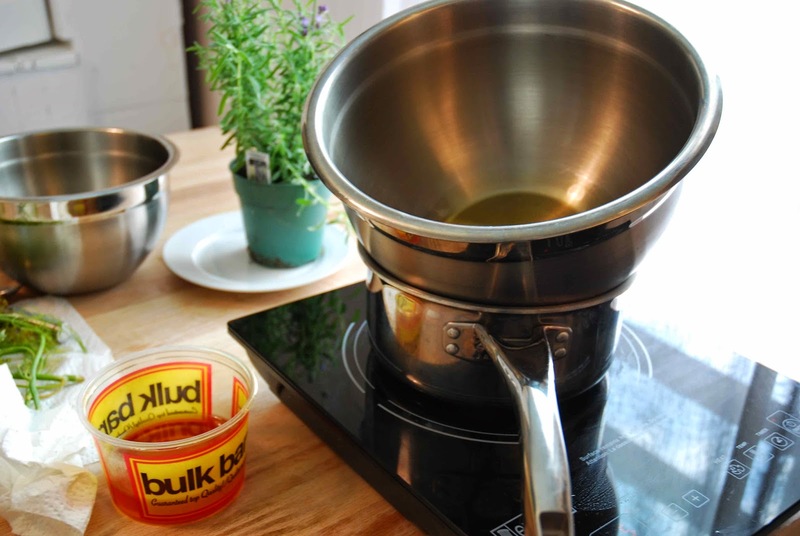 Create a double boiler, if you don't have one, use a bowl placed on top of a pot of water. Place on the stove top. (I used our induction burner to keep the house from heating up). 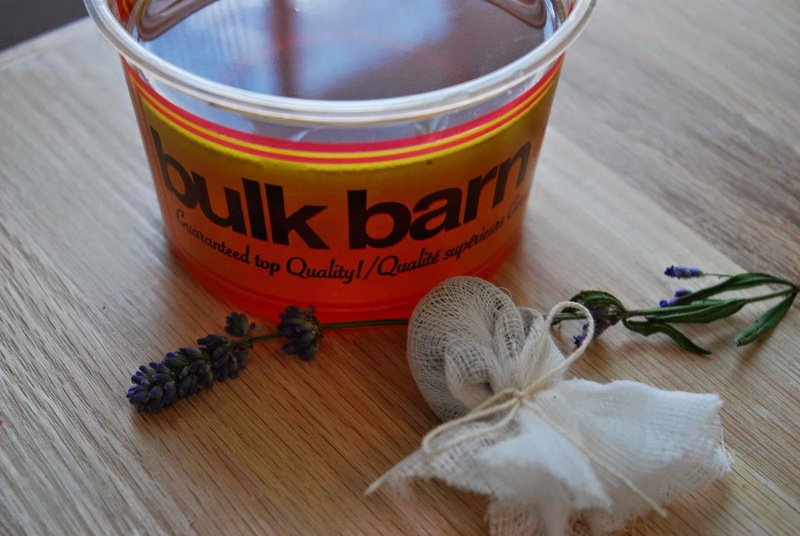 Put the honey and the lavender bundle in the bowl and heat the double boiler. 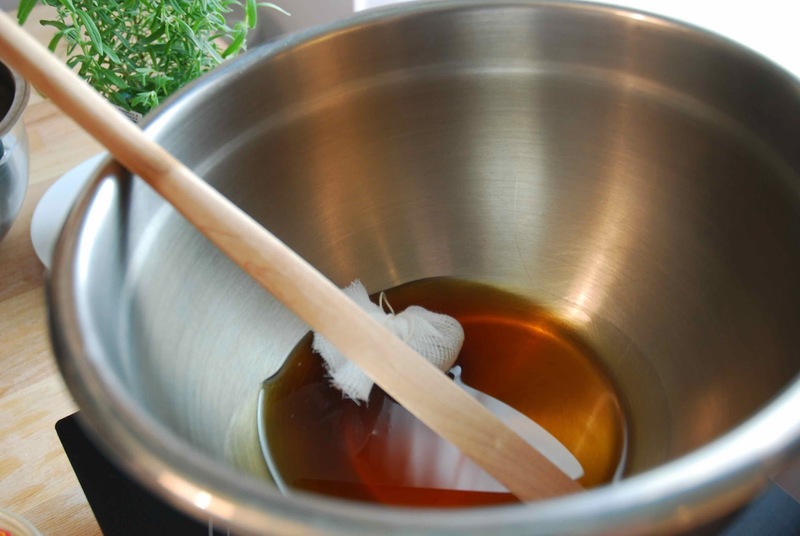 (High heat is fine until water boils, then turn down). Heat for about 40 minutes, stirring occasionally. 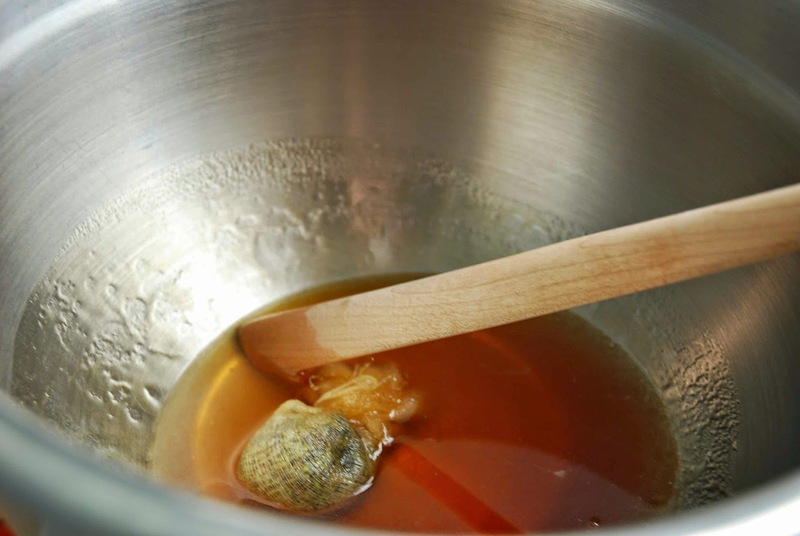 Remove bundle and pour honey into a jar. Strain the honey if needed. 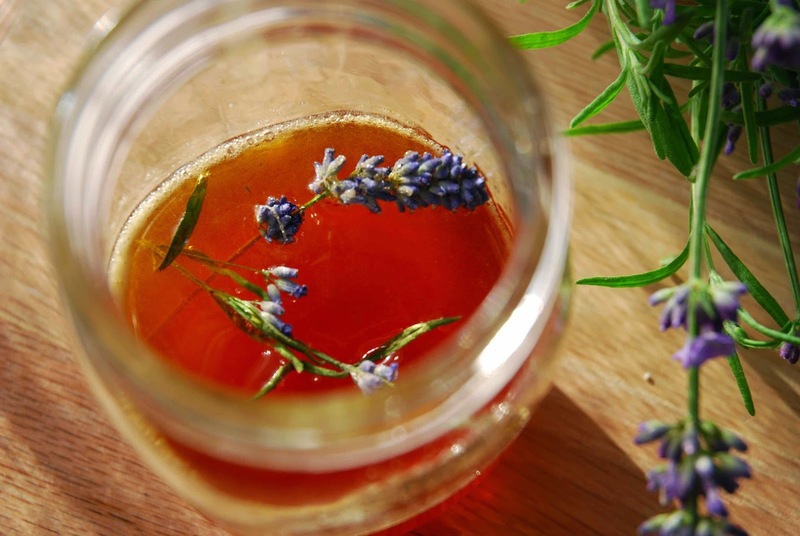 You may choose to add a sprig of fresh lavender at this point. 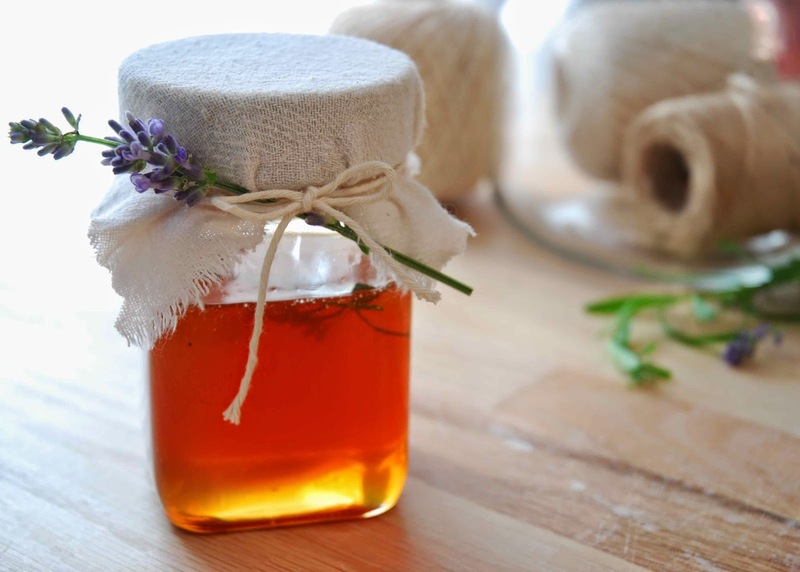 Want to get your honey looking all sweet like this one? It's easy! 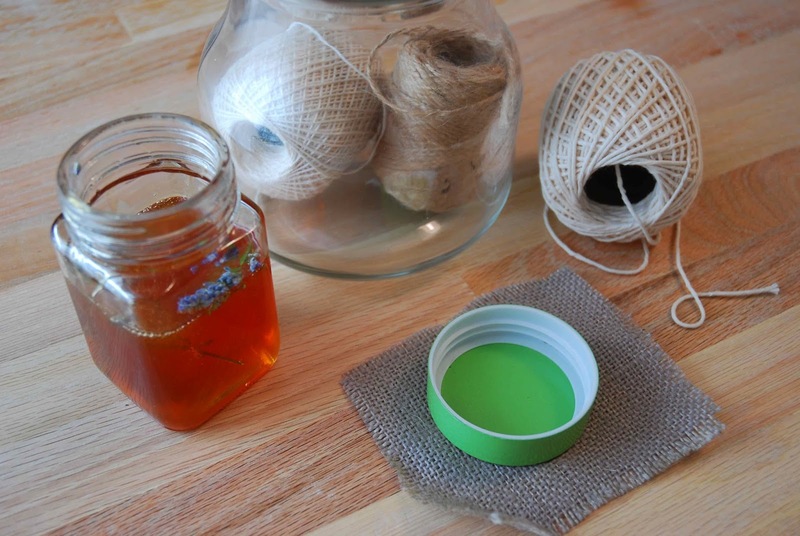 Just cut a square of fabric to fit over the lid, and wrap with a piece of string or twine. I like to use butcher's twine and raw cotton, linen or burlap. The look is rustic vintage charm and it doesn't stir up any memories of grandma's jam topped with cutesy strawberry printed fabric. Here's a little trick, use an elastic band to hold the fabric in place, the twine is just for decoration.